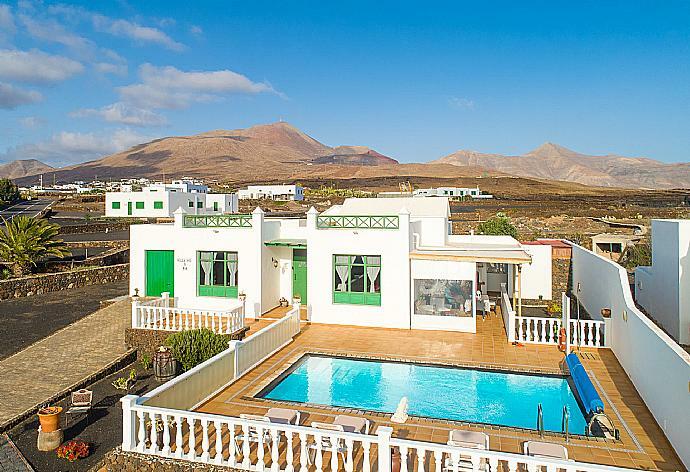 Villa Sol y Mar is a typical Canarian villa. The entrance leads to the hall, having the kitchen on the left and the living room on the right. The full equipped kitchen has a table, perfect for breakfasts and meals. The living room is connected to the dining area. From the living room, you can access to the bbq area. There are three bedrooms: a double, a twin and a single. These bedrooms share a family bathroom with bath. Outside, by the bbq area, there is another family bathroom with shower. Outside, there is a dining area by the bbq. The pool area with sunbeds will bring you outstanding views. Additional Pool Features: Heated Pool, Poolside Dining Area, Sun Beds, Pergola, Sea Views and Sunset Views. There is also a Barbecue. This is the second time we have stayed at Villa Sol y Mar and again it did not disappoint. The location is very quiet and the vista is stunning. The perfect place for a quiet relaxing holiday. A car is essential because there are no shops nearby but Playa Blanca is only about 8 miles away. Will certainly by returning. Beautiful setting! Really comfortable and well furnished villa. The garden was beautiful with a multitude of butterflies and bees to admire as well. The house is very well equipped. The location is excellent, a few minutes from everywhere youd want to go and walking distance to a restaurant and bar. Most of the important places on the island are less than a 30 minute drive. The host came on several occasions to ask us if everything was OK and he was very attentive to me. The pool we loved, it has sun all day long. We will not hesitate to choose this villa if we return to Kefalonia. We appreciate having been so attentive to us when we came to ask several times if everything was fine. It was a very nice detail also to give a bottle of local wine. We have been very comfortable in your house and do not hesitate to choose it again if we return on another occasion. 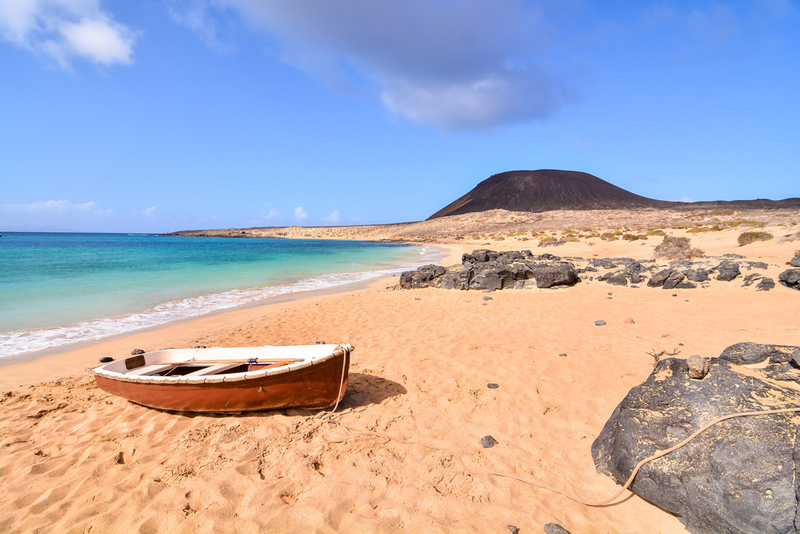 Las Brenas provides an excellent base for exploring all the sights Lanzarote has to offer. With a wide number of attractions to discover, this sought-after part of town will not cease to amaze you. 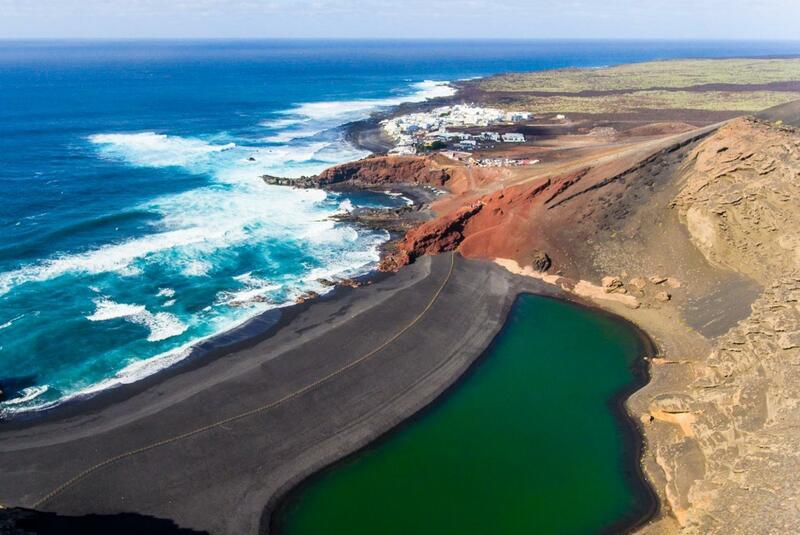 Las Brenas is located near Timanfaya National Park and offers: famous sites, great restaurants and a range of exciting entertainment. Villa Sol y Mar was booked Yesterday!